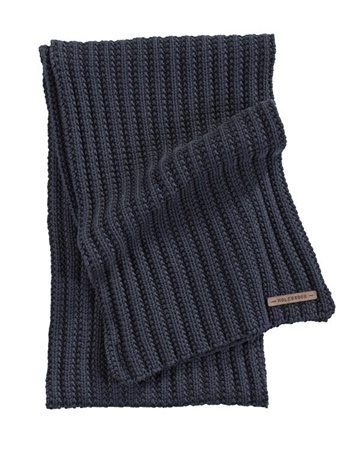 Heavy knit rib scarf in cotton, with the famous Holebrook leather label at edge of scarf. Matching Gotland Hat is also available to purchase in the collection, allowing you to complete the look. 100% Cotton - 40 degrees machine wash. One size.